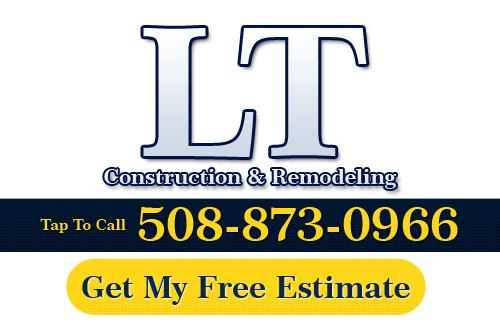 For over ten years, LT Construction & Remodeling has been providing the Worcester area with the most customized remodeling services. One of the most customizable services that we provide is our new garage constructions. If you are suffering from a lack of storage space at your Worcester property or if you need to add space to your home, our Worcester remodeling contractors can help you accomplish these and any other goals through our garage construction services. At LT Construction & Remodeling, we are the most qualified garage construction team in the Worcester area. Each of our remodeling contractors is professionally trained and licensed. We maintain a full line of trade insurance. We have the ability to construct all manners of room additions, so we are especially adept at garage construction projects. When Worcester residents hire us for a garage construction project, they can feel confident that we will get the job down quickly while achieving all of their goals. Call us today if you have been considering constructing a new garage in Worcester. Our professional contractors are happy to discuss your prospective project with you. We can explain how our customized garage construction services can accommodate all of your unique needs. We would be happy to answer any questions that you may have, and we can set up your appointment today. In addition, we can custom design this space to accommodate any task related need. For example, we can construct an attached garage that doubles as a well ventilated workshop. No matter what objectives you have for your prospective new garage, our experts can accomplish your goals. Depending on the layout of you Worcester property or the uses to which you will put your new construction, your new garage may be better suited to a detached arrangement. Our professional remodeling contractors have the ability to construct all manners of detached garages. Before construction, we will assess the current layout of your property to provide you with expert advice as to where your garage should be constructed. During your detached garage construction project, we can accomplish all of your storage and usage related goals. If you need to hire a professional garage construction contractor in Massachusetts, call LT Construction & Remodeling at 508-873-0966, or complete our online request form.